In a lot of ways, trading stocks is a hassle. First, you have to find a legitimate broker in your country of residency, then send in identity documents to get verified (which takes weeks), wire money or send in a check (which takes days), and then pay fees on every trade when you start trading. And withdrawing your money is a pain: it can take weeks and you could be asked to provide additional verification documents. Whaleclub is a company that aims to solve these problems with bitcoin. Whaleclub is like a regular broker except you use bitcoin instead of fiat to buy and sell assets. Deposits, withdrawals, balances, trades, and everything else on Whaleclub is processed in bitcoin. In addition to trading stocks on Whaleclub, you can also trade forex pairs like EUR/USD and USD/JPY, commodities like Gold and Silver, indices like the S&P500, and even BTC/USD and altcoins like LTC/USD and ETH/BTC. And thanks to the global nature and speed of the bitcoin network, you can get up and running in about a minute and trade from pretty much anywhere in the world, anonymously. In this guide, I’ll show you how to set up a Whaleclub account and start trading the financial markets using your bitcoins. To start off, visit whaleclub.co. Signing up is easy. Because Whaleclub is powered entirely by bitcoin, there’s no risk of money laundering or fraud like there would be on a currency exchange, so you don’t need to provide any identity information to get started. Click on the ‘Sign Up’ button in the top right corner. Then type in a valid email and password and you’re good to go. Once you’ve signed up and verified your email, click on the big blue ‘Start Trading’ button on Whaleclub’s home page to load the trading dashboard. Whaleclub’s trading dashboard is clean, fast, and easy to use. A watchlist of markets you follow, trading ideas, and links to news articles. When you first load the dashboard, you’ll be prompted to select either USD or BTC as your display currency. You may not be used to trading in BTC denominations, so you might want to opt for USD. If you do, your balance and returns will be displayed in USD, just like on a regular broker. Behind the scenes, everything is always held in bitcoin and never converted. You can change your display currency at any time from the bottom-right corner of your dashboard. The best way to familiarize yourself with Whaleclub is to demo trade. This allows you to experience bitcoin-powered trading without the profits and losses. You can easily switch between demo and live trading from the top-right corner of your dashboard. Demo trading is identical to real trading in every way except that the balance shown in the upper right corner is fictitious. It’s the ideal way to immerse yourself in trading until you’ve reached a comfort level to start trading for real. Switch to live trading then click on the blue ‘Deposit’ button to get an address to send bitcoin to. Deposits are instant so you don’t even have to wait for a blockchain confirmation. This is great especially if you want to take advantage of a trading opportunity quickly. There’s no minimum deposit but the minimum trade size is around 0.01BTC. The first thing you want to do once you’re ready to trade is to select a market. At the time of writing, there are around 30 markets you can choose from including stocks like Apple and Netflix, currencies like EUR/USD, commodities like Gold, indices like the S&P500, and cryptocurrencies like Bitcoin and Litecoin. Some markets may be grayed out – that means they’re currently closed. Stocks are closed on weekends and Forex and Commodities are closed on Sundays. Cryptocurrency markets are open 24/7. You can also create a watchlist of markets you want to follow. Click on the ‘Star’ icon to add a market to your watchlist. It’ll appear in the left-side panel of your trading dashboard. You enter a long trade, or long position, if you expect to profit from rising prices. Say for example that you enter a long trade at 600 on BTC/USD and price rises to 606. That’s a 1% rise, so you make a 1% profit on the amount you invested. If the price had fallen by that amount, you’d have made a 1% loss. You enter a short trade, or a short position, if you expect to profit from falling prices. Say for example that you enter a short trade at 1.1200 on EUR/USD and price rises to 1.1312. That’s a 1% rise, so you make a 1% loss on the amount you invested. If the price had fallen by that amount, you’d have made a 1% profit. In simple terms, the bid represents the price at which you can currently go short (or close a long position) and the ask represents the price at which you can currently go long (or close a short position). The numerical difference between the bid and the ask is called the spread. A full list of spreads for each market is available here. A market order is the most basic type of trade order. It will immediately execute your long or short at the best price that is currently available. A limit order is an order to long or short at a specified price that you set. A limit order will be executed once price reaches the limit price you specify. It will display as ‘Pending’ until that happens. The textbook definition of leverage is “having the ability to control a large amount of money using very little of your own money and borrowing the rest.” Whaleclub provides up to 100x leverage on currencies such as the EUR/USD and between 5x and 15x leverage on the rest of its markets. Let’s say your 100BTC investment rises in value to 101BTC (a 1BTC gain). If you had to come up with the entire 100BTC capital yourself, your return would be a puny 1%. Fortunately, you’re leveraged 100x, so your return is a groovy 100% (1BTC gain on 1BTC initial investment). Although 100x leverage may seem risky, the risk is significantly less when you consider that currency prices such as the EUR/USD usually change by less than 1% during the day. If you use leverage, you’ll be charged a financing rate which applies daily. Think of this as interest you pay for borrowing funds. It’s relatively low but it can add up if you hold your position for extended periods of time. A full list of financing rates for each market is available here. Although the ability to earn significant profits by using leverage is substantial, leverage can also work against you. If the asset underlying one of your trades moves in the opposite direction of what you believed would happen, leverage will amplify your potential losses. This is where you set the full amount, including leverage, you want to invest in your trade. The ‘Max’ value gives you an idea of how much you can input here. Once you’ve done that, click on ‘Long’ or ‘Short’ and voilà! You’ve submitted your first trade! The profit on your newly-active position is updated in real time as the markets move. Sometimes, you want to close or manage only a part of your position, not the entire position itself. For that, you can use the handy “Split” feature to split your position into smaller ones that can be managed separately. You can close some of those smaller positions or update their take-profits and stop-losses independently. To split your position, click on the Split icon, select a ratio, and click ‘Split’. Your position will magically split into two smaller ones. You can repeat this process for the resulting positions. Click on the ‘Close’ button to close your position at market price (the best available price). Your position closes instantly and locks in the profits (or losses) you made on that trade. Click on your newly-active position to display its details. A panel will pop up showing your margin, your liquidation price (the price at which your position is automatically closed if it were to lose too much money), your entry date, and more. From here, you can also set a take-profit or stop-loss. You set a take-profit to automatically close your position once a certain profit has been made. Although it halts any further advance in profit, it guarantees a specific profit after the price level you specify is hit. Setting a take-profit is optional. You set a stop-loss to automatically close your position once a specified price is reached causing a loss. It’s designed to limit your loss. Having a predetermined point of exiting a losing trade not only provides the benefit of cutting losses so that you may move on to new opportunities, but it also eliminates the anxiety caused by being in a losing trade without a plan. Setting a stop-loss is also optional. In addition to regular trading (described above), Whaleclub offers a little something called turbo trading. Click on the lightning switch to enable turbo trading. Turbo trading is trading on steroids. When you turbo trade, you can make (or lose) a significant amount of money quickly, all while being infused with enough adrenaline to make your skin tingle. A turbo trade is a straightforward yes/no trade. Your job is to go ‘Long’ if you expect a price rise or ‘Short’ if you expect a price decline. If your prediction is correct at the expiry time (the orange line at the end) you make a profit equivalent to the payoff shown, which can be as high as 75% for some markets. If not, you forfeit the amount you invested. You can submit as many turbo trades as you want before the purchase deadline (the dotted white line in the middle). You can demo turbo trade too (just toggle the switch in the top right corner of your dashboard while in turbo mode). It’s probably the best way to get a feel for it. While in turbo mode, select the EUR/USD market. The 1 minute contract should be selected by default. It basically means that your turbo trade will automatically close at the expiration time in 1 minute. The profit you’re set to make on a correct trade for EUR/USD is indicated in green as the payoff: 68%. 5 minute contracts are also available. Say that you submit a long turbo trade at 1.2200, the current market price, with a size of 0.1BTC. Assume that at expiration, the EUR/USD market price is 1.2205, which is higher than your 1.2200 entry price. Since you submitted a long trade and predicted the price direction correctly, at expiration you receive 68% x 0.1BTC = 0.068BTC, in addition to your initial 0.1BTC investment. How Does It All Work Behind The Scenes? Behind the scenes, Whaleclub uses a hybrid market maker / ECN model to route your trades. Most trades are matched internally against other Whaleclub traders, so longs and shorts cancel themselves out over time. During times where longs and shorts are too imbalanced, to avoid taking on too much risk, Whaleclub routes trades to the external markets where they can be appropriately hedged. This model allows Whaleclub to offer very low spreads and zero execution fees, and is used by leading financial institutions and brokers, including Alpari, Forex.com, and Pepperstone. And concerning stock ownership: You don’t actually have a title to the assets you buy or sell on Whaleclub. You simply place trades with the expectation that price will move in the direction you expect to make a profit. Whaleclub does not charge trading fees beyond the financing rates on borrowed funds I mentioned earlier. Whaleclub makes their money from the spreads. There are no account setup, deposit, balance, inactivity, or any other fees, except for the withdrawal fee, which is 0.001BTC. You can withdraw your funds to any bitcoin address from your Whaleclub wallet. Just enter a destination address and the amount you want to withdraw. If you have 2-factor authentication enabled, you’ll need to provide your security token when you withdraw. Most withdrawals are processed manually. There’s a very good reason for that: Whaleclub keeps 100% of customer funds in cold storage. That means that none of the wallets containing your funds are linked to software or to the Whaleclub site (which would make them vulnerable to hacker attacks). It’s a smart compromise in usability for a big gain in security. Whaleclub supports 2-factor authentication. You can enable it from your Settings page using Google Authenticator or Authy. Once enabled, you’ll be asked for a security token when you log in and when you withdraw. If you run into an issue, Whaleclub’s team is just a few clicks away. Whaleclub also has a Twitter account you can follow to get the latest news and technical analysis on cryptocurrency markets: @whaleclubco. Forex analysis is posted at @whaleclubfx. Excellent and easy-to-understand article! Cool service and a great use case for bitcoin / digital currencies. 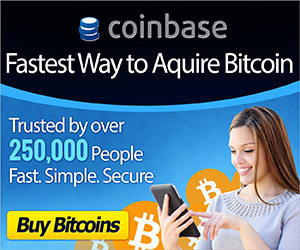 Wow now you can trade stocks with bitcoin. It’s happening… Awesome tutorial Dean. Keep them coming! Do you know if they offer metatrader? Nice and comprehensive tut in any case… Will give them a shot.